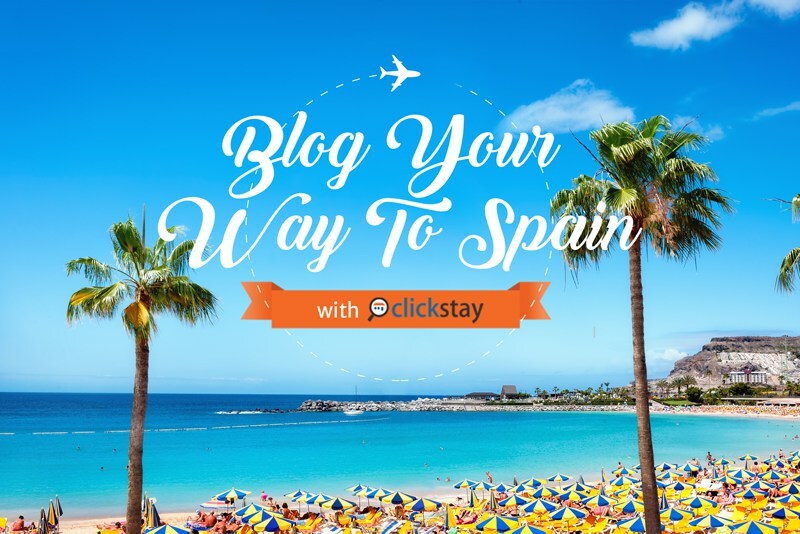 To enter, follow us on Twitter and share your blog post with @Clickstay and the unique hashtag #BlogYourWayToSpain. Please see the entry requirements below for full details. Entries must include a 'dofollow' link to this competition page. Entries must include 'dofollow' link to your dream Clickstay villa in Spain. Entries must include at least two photos of the villa you have chosen. And we know your readers like winning prizes too so we have included a reader competition for their chance to win their own £500 villa voucher and a camera! Therefore, your entry must include information about and a link to our reader competition: https://www.clickstay.com/spain/villa-holiday-competition. The competition is open to all UK bloggers over the age of 18. All entries must be authentic and shared on Twitter with @Clickstay and the hastag #BlogYourWayToSpain to be valid for entry. The competition will end at midnight on Sunday 12th June 2016. One winner will be chosen by the Clickstay panel by Friday 17th June 2016 and contacted via email. The winning post will be based on the holiday that most creatively interprets the competition and best meets the competition criteria. Prize includes a £1,000 Clickstay voucher (or currency equivalent) to use against a single accommodation booking on the Clickstay website, for a property in Spain only. Bookings are subject to availability and the booking terms of the property. Clickstay voucher is valid for a booking with an arrival date before Tuesday 13th June 2017. Any breakage deposit required for the property will need to be paid separately by the winner through Clickstay. The winner of the competition must be willing to write an honest review on their blog about their stay in the property. The winner will also receive a £250 Sunday Somewhere voucher, £500 Flight Centre voucher (Flight Centre terms and conditions apply) and will be featured across all Clickstay social media channels. Prizes are non-transferable or redeemable for any cash alternative. Check out Sunday Somewhere's awesome range of Sunglasses and Frames or check out their instagram account for their wanderlust worthy snaps!